Unique space that blends into the residence. Space evoking a sense that leads to something. Space combining a sense of nostalgia and newness. I aim to create a bathroom with these elements. The creation of a unique space that blends into the home is one of the primary visions I value when I design a bathroom. Each place has a variety of distinctive backgrounds that incorporates local history, culture, geography, and climate. If the underlying conditions of each place can be integrated into the bathroom, it should be naturally result in unique characteristics while tuning into the surrounding environment. It becomes the most precious time when we survey the environment and we feel an ambience particularly unique to the area, such as its culture, customs, history, and landscape which are created by the inhabitants. This constitutes the base for designing work. In addition, when I design, I think of the bathwater as a medium that connects the person to the space. Taking a bath means stepping into the spatial element that is bathwater as a medium. In other words, we connect and physically assimilate into the space through the bathwater. We also feel a spiritual unity with something at the same time. The sensation starts from a refreshing feeling that leads to a sense of relief, euphoria, purification, and paradise. In a deeper sense, memories of our mothers body and, ultimately, a sensation leading to the universe or one’s soul might arise. This is another ideal vision I have for a bathing space.The glittering bathwater, the undulating water surface and the warm embrace of the bathwater serves not only as spatial material but also as a spatial medium that brings rich expression to the space and allows us to relax. Perhaps the sense of unity or connection to something is one of the most comfortable and therapeutic of feelings. Another primary vision I value when designing a bathroom is to create a space that combines a sense of nostalgia with newness. Traditionally, Japanese people enjoy a variety of forms and styles of bath, such as steam baths, hot springs, public bathhouses, super sento, home baths, spas, and saunas. In other words, bathing is a part of the traditional culture essential to Japanese. I believe tradition should be passed down from generation to generation while integrating conservational elements with evolution. As a representative space, it is reasonable to create a bathing space design that offers a sense of nostalgia and newness at the same time. Newness and nostalgia are defined as simplicity, which may lead to the idea for the space. Sento bathhouses have long been an integral part of life in Japan. We think it’s a great shame that many sento, especially in regional areas in Japan, have closed over the past decade or so. 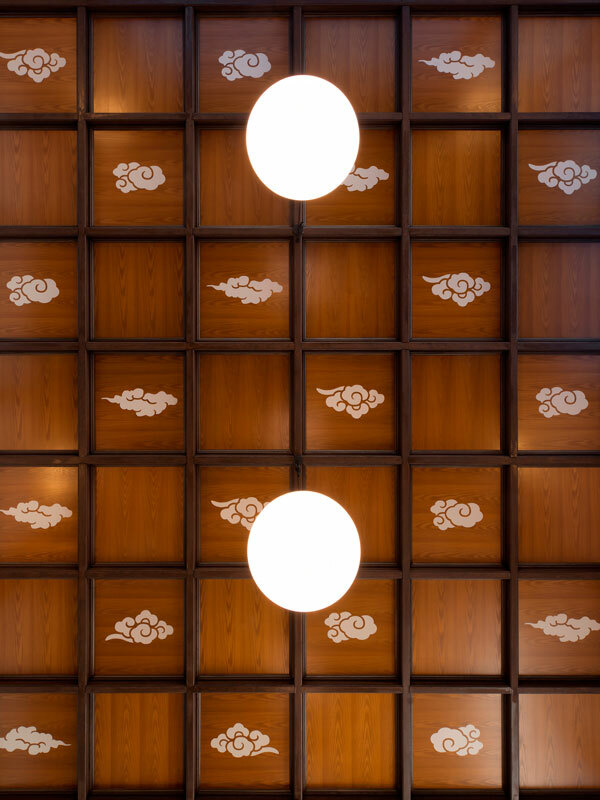 Things that are necessary but are missing from life in Japan today can be found at sento. We want to help revive sento bathing culture by operating a design business based on the desire to re-establish sento as part of Japanese people’s lifestyle. Our aim is to deepen our understanding of the current situation, including by studying results of regional surveys and various data, propose concepts appropriate to local areas and each bathhouse, and realize these concepts via our designs. 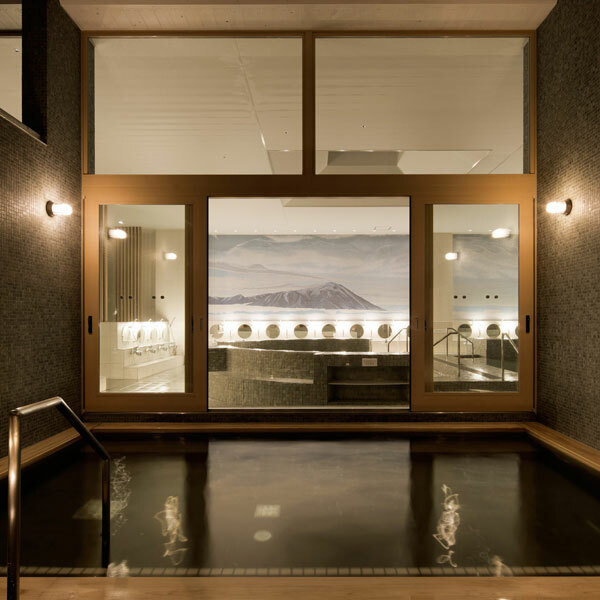 Sento bathhhouses, hot springs, large baths at hotels and Japanese traditional hotels (ryokan), and domestic bathrooms require different types of bathing facilities. We propose logical facility systems that can be used with confidence based on collaboration with professional designers and experience gained by specializing in bathing facility design. We believe materials as close as possible to natural materials are the best choice for healing spaces. Natural materials are appealing and encourage attachment to spaces over time. They are also kinder to the environment when disposed of. Baths must be cleaned and maintained on a daily basis. We aim for a high degree of balance between design and ease of maintenance. We help businesses develop and prosper via a wide range of services, from provision of advice at the initial start-up stage to after-sales follow-up services post opening. 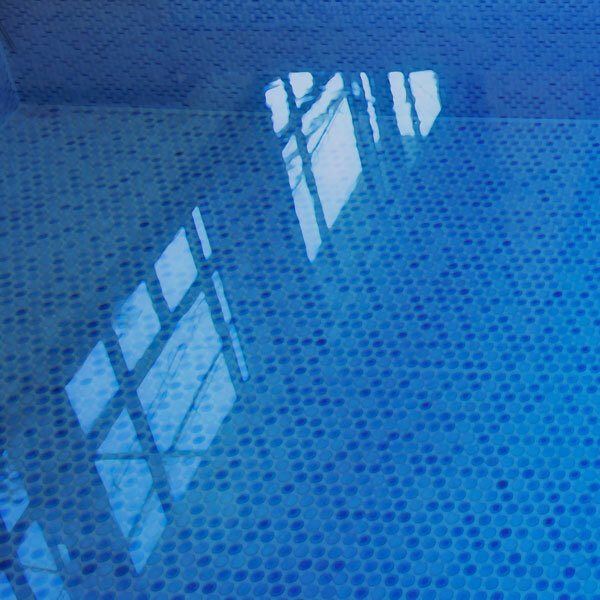 We want Japan’s tradition of public baths to live on into the future and to transmit its value to the world. We help to realize dreams as a partner that closely follows business owners’ ideas. Kentaro Imai is an architect, born in 1967 in Shizuoka Prefecture, Japan. Graduated with master’s degree in design at Musashino Art University. He established Kentaro Imai Architectural Office in 1998. His designs, seemingly modern at first glance, are actually the integration of a traditional details based on concepts. His early works such as “Taihei-yu” or “Togoshi-Ginza Onsen” has been greatly taken up by the media, and it was with the trigger of the Japanese public bath movement which is ongoing today. 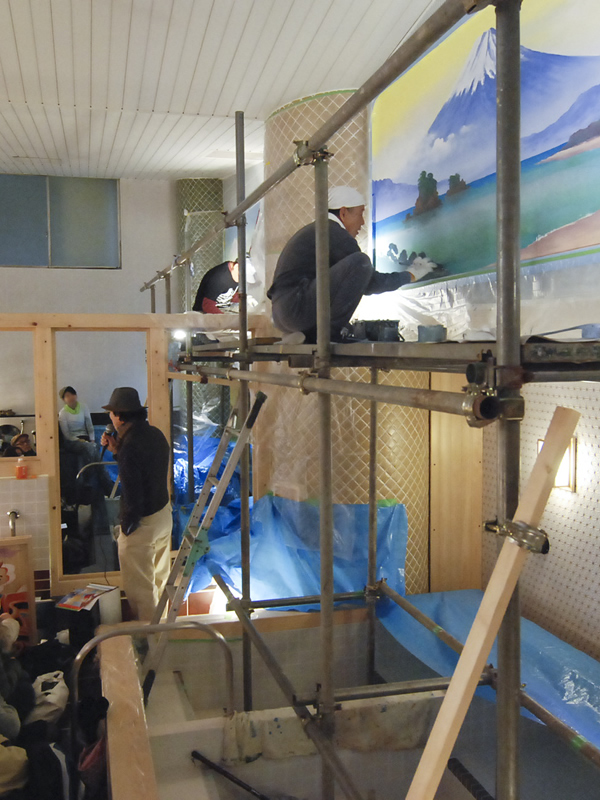 At that time, he started the pioneering “Yu-festival” the public bath event with inspired more others. In recently years, his design work not only focus on Sento (or Japanese public bathhouse) but it also extends to various bath facilities such as the large communal baths of hotels. 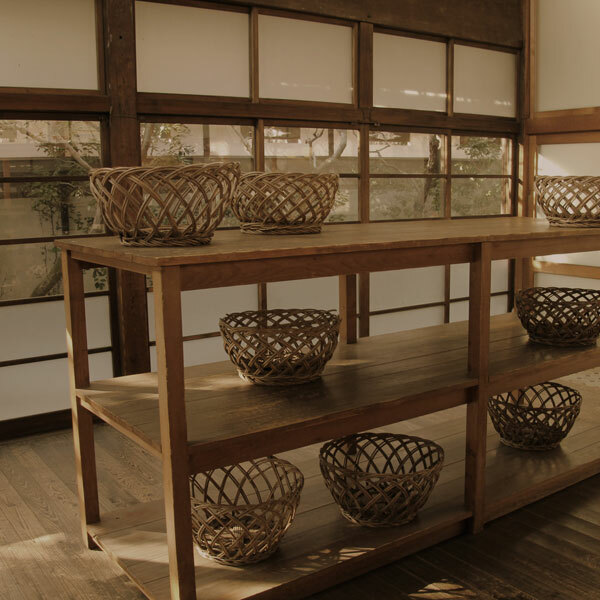 And he redeveloping his design processes and shaping his skills in order to contribute to Japanese bathing culture. In 2019, his first overseas project will commence construction in the United stats. 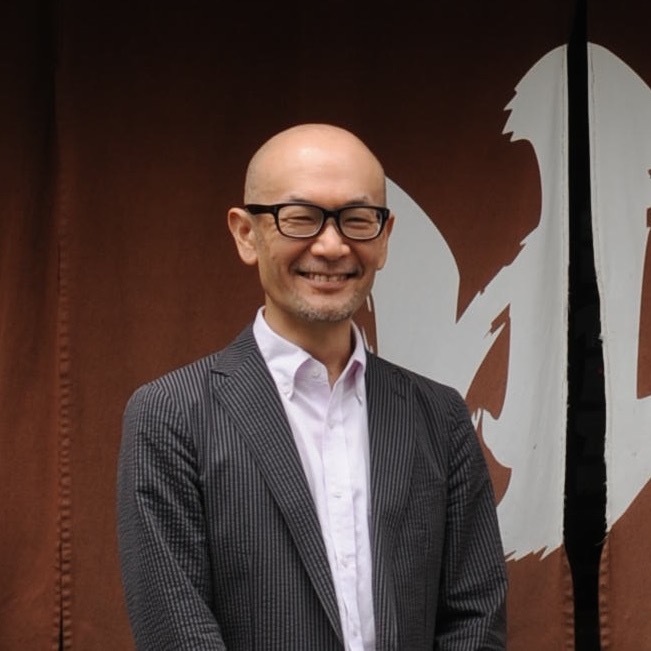 Kentaro Imai Architectural office Co., Ltd.
we also provide services including planning and running events associated with sento and hot springs. We also assist sales promotion operations. YU-FES are events put on at sento designed to help people rediscover their attractions. 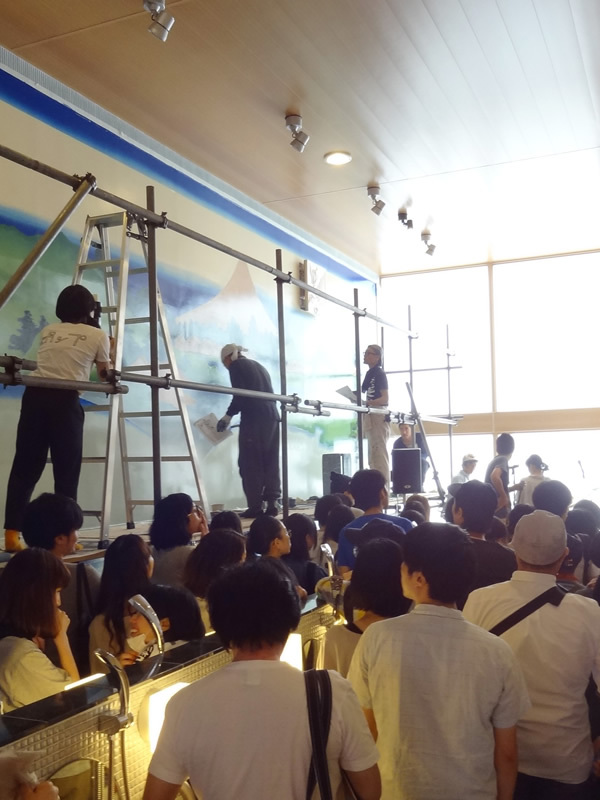 YU-FES events have developed in many ways, including live music performances centered on live mural painting by professional sento mural painters, workshops, exhibitions, and management linked with local cafes. The aim, of course, is regional promotion, but also to broaden knowledge of sento by providing opportunities to people who have basically never visited one to do so.